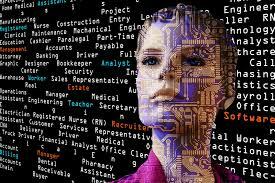 Is Your Workforce Ready For AI? GR&AT empowers your future with effective, innovative, and professional consulting, public speaking and corporate training. Our actions spur growth, foster innovation and build knowledge-sharing within your business environment. We help to conceptualize, build, redesign and support market leaders through business and digital transformations via strategic business development. We are Consultative Experts in Business Transformation, Change and Crisis Management, Business Development, Strategy, Personal Branding, Social Media, Thought Leadership, Digital Transformation, AI and Big Data, Wearable and Mobile Technology, Virtual and Augmented Realities, Public Relations, Marketing and Communications, Multi-Generational Comms, CSR and Sustainability and Cultural Differences. Multi-lingual, passionate and experienced; we are sought-after, globally award-winning Public Speakers on a number of requested topics. ﻿Each speech is tailor-made to meet individual specifications and delivered with energy and passion, regardless of group size or topic. Check out the full list of our Speaking, Consulting and Training TOPICS. With our expertise in Interim and Change Management, Advisory Board functions, Start-up support and Investments, we bring a wealth of knowledge and creative insight to any organization we work with. Our Founder Glenn Wastyn believes "Different is often better and, at GR&AT, we are purposely different!" Allow GR&AT to empower your future!